Laser hair removal is one of the quickest hair removal methods. Waxing or epilation both require consistent treatments throughout your life. Electrolysis can take years to complete. You'll be feeling better about your appearance in no time because laser hair removal results in permanent hair reduction, meaning the hairs will be smaller diameter and less dense with each treatment. Laser hair removal is extremely safe. It's been approved by the FDA! When performed by a properly trained technician, it's extremely rare to experience any side-effects. Also there is no bleeding which can happen with methods such as waxing and electrolysis. Laser hair removal saves you tons of money over time due to the guaranteed reduction in hair. This method of hair removal removes the need for razors, waxing, depilatory creams and any epilation equipment. The question is: What are you going to do with all that extra money? Laser hair removal Scottsdale is both precise and versatile. It can easily be used to target both large and small areas. No matter which areas you're interested in this type of treatment provides the precision and specificity you want to effortlessly remove your unwanted hair quickly and effectively. NEW AREAS FOR MEN'S LASER HAIR REMOVAL! NEW AREAS FOR WOMEN'S LASER HAIR REMOVAL! My husband was the first person to try out this laser hair removal service. I definitely became encouraged to come here and try it out myself after seeing the results my husband received. What I immediately liked is the owner, Matthew works alone. This means he focuses all his attention on you, which reduces the probability of him making a mistake. This made me much more comfortable and took away any feelings of nervousness I walked in with. Matthew did not disappoint. His laser hair removal skills outperformed my expectations and I will definitely be back for more treatment in the future. Thank you again Matthew and I look forward to our next session. Matthew is a hair removal expert! I was under the impression that hair removal was painful and uncomfortable but boy, was I wrong. Matthew does laser hair removal in a practical way that doesn’t inflict pain or discomfort of any sort. You can tell just by working with him that he’s very experienced in what he does. I couldn’t be more satisfied with Matthew’s attention to detail through his laser hair removal procedure. Matthew is a hair removal wizard. His experience regarding hair removal is among the most refined that I've ever seen. His experience really shows as you see him in action performing the service. I've been to other "so-called" hair removal experts that couldn't hold a candle to Matthew. They never quite got me the comfortable results I was looking for. Based on that, Matthew is the only hair removal person I see now. Keep on providing quality hair and laser removal services like no other! Met my expectations and far beyond !! I wanted to go to a GREAT clinic. I chose Matthew because of the good reviews, . Wow... What a great choice!!! I received a warm welcome when I arrived. Everything was perfect. I couldn't expect a better experience overall. I give my highest recommendation to this place. Matthew is the man in the Phoenix valley for laser hair removal. He is very friendly and helpful. Matthew is a top of the line laser hair removal specialist. The location is very comfortable. I will recommend all my friends and family to him. Thank you for the awesome service. I have been getting treatments from Matthew for several months. He always performs the most thorough laser hair removal treatments to ensure the most effective results. Matthew is professional, friendly, courteous, and extremely helpful. I loved the laser treatments and have used more than one of Matthew's treatment types! He made me feel so comfortable. I am glad that I got recommended to this particular office. Matthew is very professional but yet casual. I would definitely go back for more services and would not hesitate to recommend him to anyone else. Super Job! This was my first laser hair removal treatment and I was a little apprehensive about it first but was quickly put at ease by the very professional and friendly way Matthew explained to me the entire process.I feel relaxed and happy that I decided to get the service from him. I will certainly continue with additional treatments going forward. I will also recommend Matthew to a number of my friends at work. Great job!!! A sincere thank you!!! So my journey here began shortly after my husband. We've both been coming to Matthew for our laser hair removal needs. Matthew is a true professional that takes the time and effort to administer the best laser hair removal procedure money can buy. After my husband spoke so highly about Matthew on his first appointment, I knew I would want to try him out next. And I definitely wasn't disappointed because my husband and I are both hard to please. Matthew has answered all our questions over the years so now when we come to our scheduled appointments, we just talk about everyday life. He is a very compassionate laser hair removal expert, but his friendliness goes beyond just his job description. My husband and I would recommend Matthew to anyone in the Phoenix or Scottsdale area looking for a competent laser hair removal expert. Thank you Matthew for your expert laser hair removal service and expertise over the years. You are our go to laser hair removal person and that won't be changing any time soon! Matthew is a perfectionist! He is truly a master at what he does. He is very knowledgeable and professional in all areas of laser hair removal. If this is a process that makes you nervous, there's no need to worry with Matthew as your professional hair remover. He has almost 2 decades of experience and literally "laser focus"(haha) when doing his job. Not only that, but Matthew is passionate about achieving results for all his clients. He performed his laser hair removal service on my wife and I. It worked out so perfectly, that we were almost in disbelief after seeing the results. I'm very impressed with Matthew and his commitment to his craft. I can only recommend someone that has been dedicated to providing customer satisfaction for this long. Bravo buddy, you've earned it! I love this place. I had my laser hair removal done last fall while visiting friends. Matthew is so nice and professional. He has a calming effect on you. I have had no regrowth of my hair since my treatments! I recommended this place to my friends and co-workers. 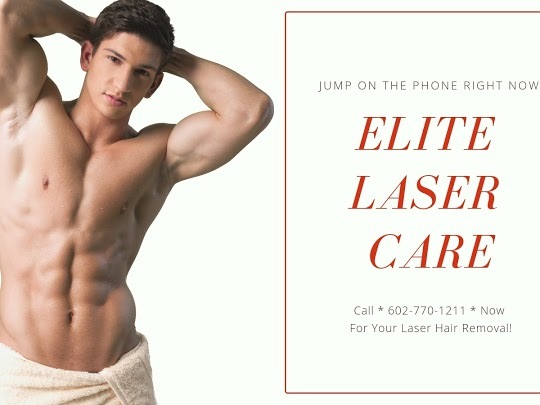 Call * 602-770-1211 * Now For Your Laser Hair Removal! These treatments have been increasingly gaining more and more attention with men. The smooth look for men is more popular than ever, and it makes you look younger. Of all the methods of hair removal, laser hair removal is the most sought after because it is fast, safe and effective. Virtually every area of the body can be treated with this method! Within a few short treatments you can have that smooth look you've always dreamed of. The laser can be be use to get rid of hair anywhere it is bothering you! So say goodbye to ingrown hairs, shaving, waxing and razor burn, and finally get that smooth look you’ve always wanted at a price that won’t break the bank! Enjoy your night out on the town or at your favorite shopping experience without a care in the world. With a few quick and easy visits you can face the world with confidence. 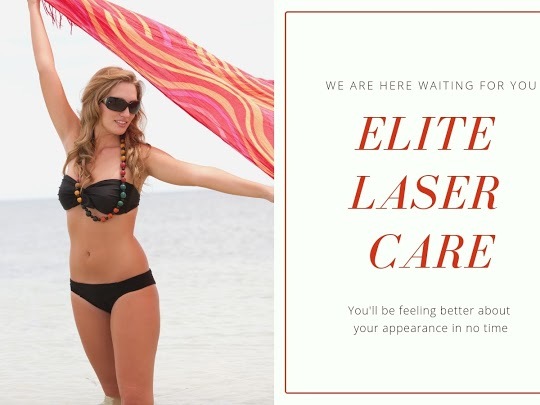 And yes you can be looking good at the beach just as quickly and easily with any one of several types of bikini hair removal treatments. Don't let "you know who" on one of those reality series shows be the only one with a perfect bikini shot! You can be liberated from your unwanted hair in just about any area of the body that you desire. The sooner you get it done the more years you'll have to enjoy it. So throw away those razors and make an appointment today! It's my goal to keep your Scottsdale laser hair removal cost as affordable as possible here at my north Phoenix / north Scottsdale location. I accomplish this not JUST by offering you a significant discount without the need to commit to a lengthy contract of treatments you may not even need, but also by assuring you receive the highest quality treatments each and every time. What good is a discount if EACH treatment isn't performed by a highly skilled and experienced technician who is applying what he or she knows? I am not only the technician performing the treatments but the owner of Elite Laser Care as well. As such I have a vested interest in seeing that all my clients are well cared for during their visit to my office. I make myself available by phone to answer any questions that might come up between visits. And I always try to schedule my clients in such a way that you will rarely if ever have to wait past your appointment time. For Your Complimentary Scottsdale Laser Hair Removal Evaluation In My North Phoenix / Scottsdale Office.